I’m originally from Argentina. About 10 years ago, I decided to come to the U.S. to study music and found my two loves. The first one was L.A. because of the music possibilities and the quality of musicians you get to work with everyday. The second one, the one who made my decision very clear to stay in L.A. forever, was my wife of 7 years now and my daughter. I’ve been playing guitar, percussion, and drums my whole life and have had the chance to learn from the best musicians and teachers around. In Argentina, I had several private teachers up until I started studying at the Manuel De Falla Conservatory and the Contemporary Music School of SADEM where I landed my first professional gigs as a Jazz, Tango, and Argentinean Folk Session Musician. When I came to the U.S., I studied at L.A. Music Academy in Pasadena, CA where I graduated in 2007 and then went to study Audio Engineering and Production at SAE Institute L.A. in Hollywood, CA. I then worked as a producer for many different artists as well as session musicians around L.A.
All these years as a session musician, music director, and hired musician gave me the preparation necessary to become a performer that understands the importance of music at different settings, such as corporate events, private parties, weddings, restaurants, and even festivals and concerts where I play covers and my original music. That’s why in 2013, I decided to start my own path and became a solo guitar performer for all type of events. Today, I normally work as a solo performer, but also have the option to perform as a duo or trio. I fell in love with Flamenco music and Spanish guitar at a very young age and that’s where I focus my performances today. 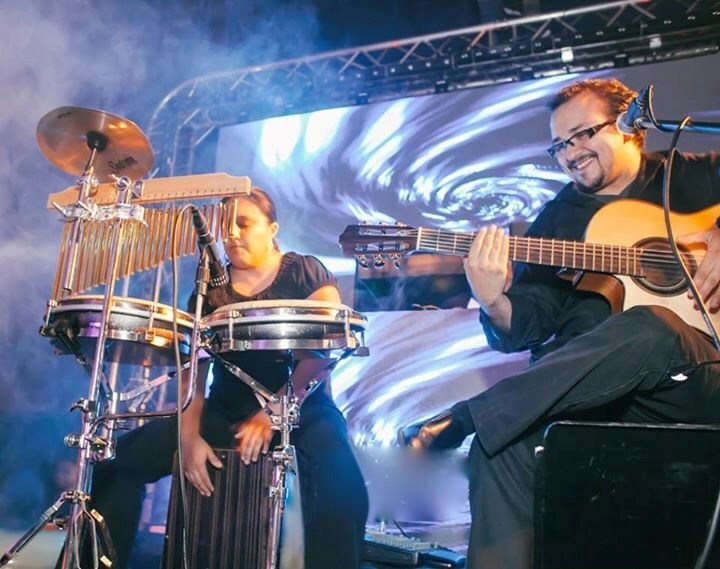 I do a lot of World Music and Classic Rock as well as Jazz and Pop, but I always try to incorporate my Spanish guitar flavor to the music I play. What's one interesting fact about yourself? I always go the extra mile to get a smile and approval from my clients and the crowd. I love playing music and seeing the their reaction - it's what gives me the boost the energy when it comes to performing. I also really enjoy trying out new gear - it's become an addiction! What's the most unique event (or your favorite event) that you've played at? Several events come to mind, but one that really stands out is my performance at Levitt Pavilion in Pasadena, CA. This was the first time I performed at a big festival with 100% original music and a 7-piece band. It was an experience that I was able to share alongside friends and colleagues in the town that was my home ever since I arrived from Argentina in 2006. You have over 100 rave reviews from past clients. What do you feel makes your clients' experiences so positive? I believe it's the dedication that I put into every performance (big or small), the respect that I have for each performance no matter how much it pays or the conditions of it, and understanding that the music is a huge part of making the event attractive to the guest of honor and their guests. Also, I make sure the booking process is as smooth as possible for them. What's your #1 tip for responding to leads? I always try to remember that for us, it's one more gig, but for them, it's a very special day in their life. "My husband and I planned a destination wedding in Southern California recently and came across Aaron's talents on this site. After booking, he made a point to arrange to speak to us prior to understand our needs and music selections. He performed at both our ceremony and reception luncheon and played beautifully. It certainly exceeded our expectations and his rates for performing I believe to be unbeatable to other musicians we could have chosen from. 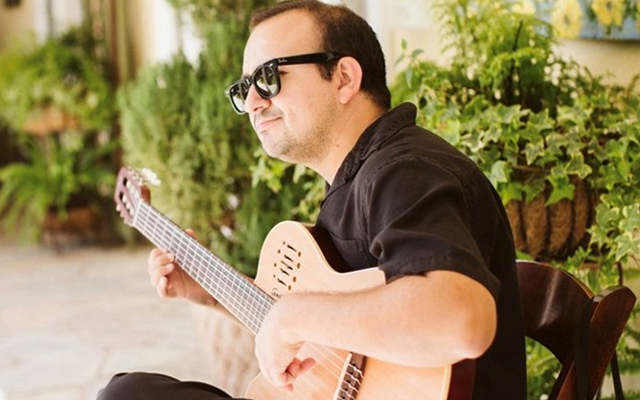 Aaron made our day special, made it pleasant for our guests (many compliments from our guests), and we would highly recommend his talents to anyone! Thank you so much Aaron!"